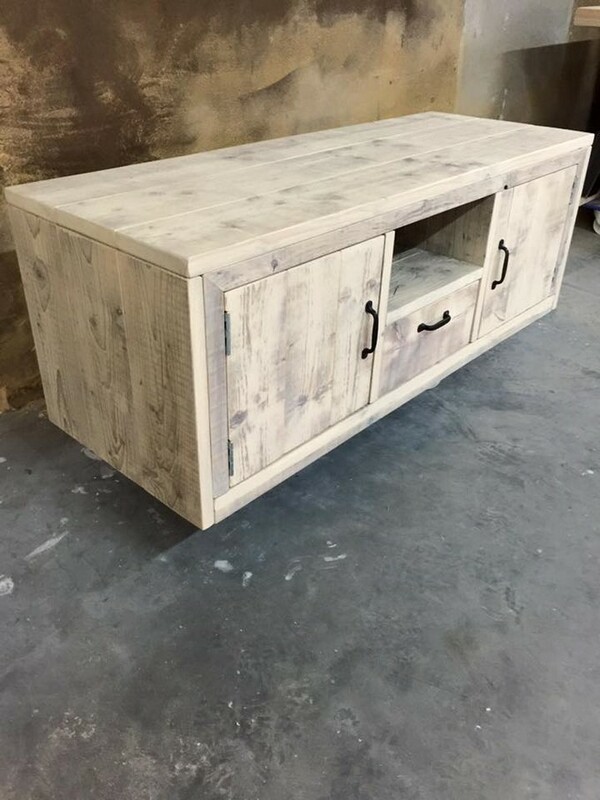 To make a wood pallet TV cabinet has always been a wise choice in many perspectives. Like this got a number of reasons to be recycled, first of all it became the best support for my TV, to ensure its safety and security, to prevent it from falling or anything like that. 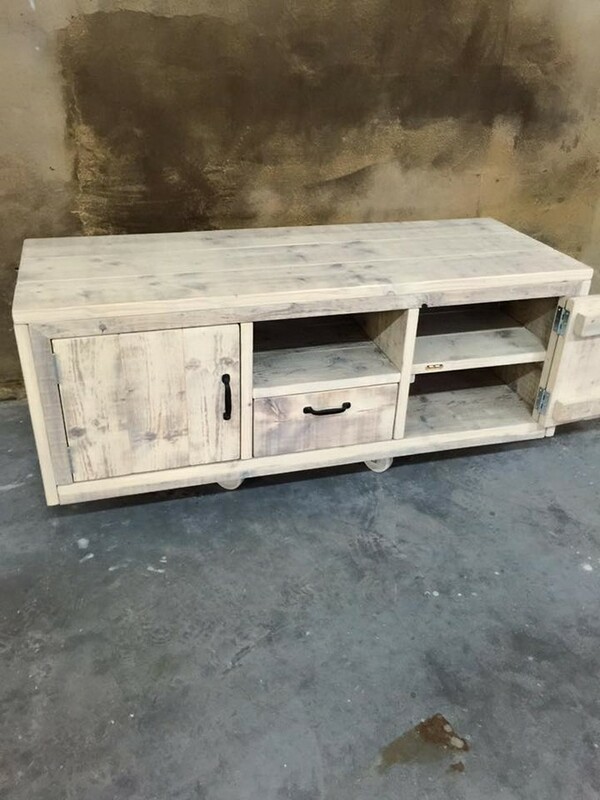 Secondly this was just so damn easy for me to make this much important item with the wood pallet as I was already having some of the finest shipping pallets lying in my backyard, so I just planned to go for this pallet TV cabinet on wheels. The first question that might come to your mind could be the one that why I planned to fix metallic wheels on the base, well, this has got the simplest answer. I just did it to make it easy for you to shift this TV stand from one place to another single handedly. I did it again just for your ease. 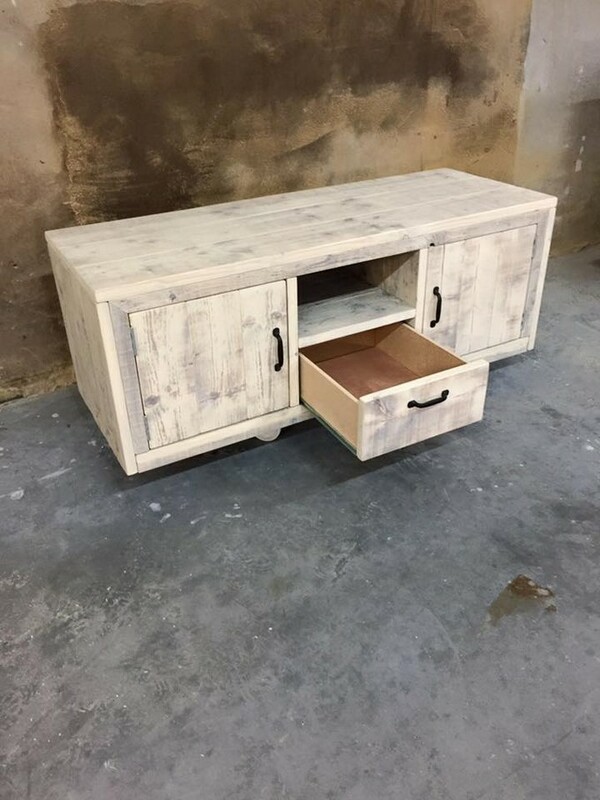 Otherwise the worst thing about wooden furniture items is that moving them from one place to another has always been just like a nightmare, but this time you are going to do it single handedly with a gentle push of hand. 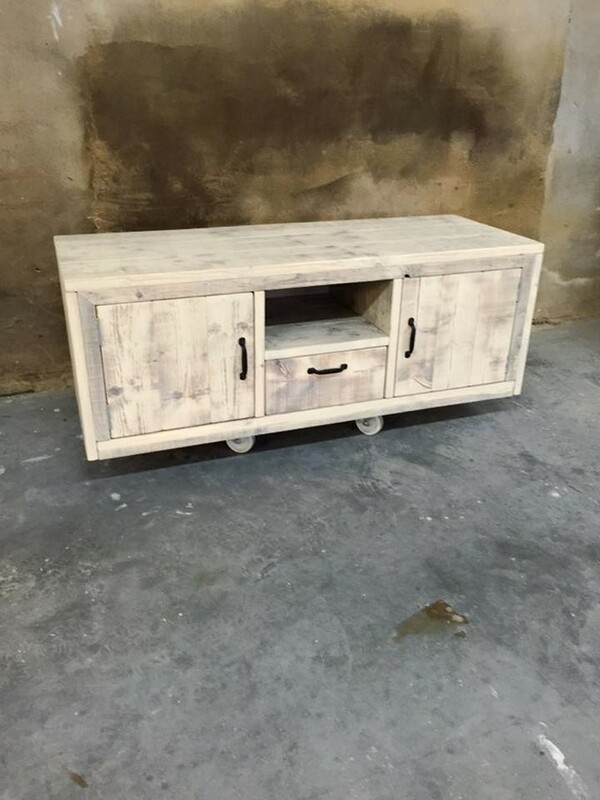 Now coming to the various features that we have introduced in this wood pallet recycled TV cabinet on wheels. It has got a huge front cabin with a wooden door that can be opened and closed very easily, this would be a storage trunk. While the rest of cabins and portions are again a smart storage hack where you are provided with ample space to organize certain material relating to your device like some of your favorite DVD collections, music system or some other related stuff. We didn’t bother to stain it but you can always do it according to your preferences.